There are currently 13 operational rapid transit (also called 'metro') systems in 18 cities in India. As of March 2019, India has 638.91 kilometres (397.00 miles) of operational metro lines and 496 stations. A further 500+ km of lines are under construction. Metro rail lines in India are composed of mainly standard gauge. Projects like the Kolkata Metro and Delhi Metro used broad gauge for their earliest lines but all new projects in India are on standard gauge as rolling stock imported is of standard gauge. The first rapid transit system in India is the Kolkata Metro, which started operations in 1984. The Delhi Metro has the largest network in the entire country. The newest metro opened is Nagpur Metro is opened for public on 8 March 2019. In 2006, the National Urban Transport Policy proposed the construction of a metro rail system in every city with a population of 20 lakh (2 million). On 11 August 2014, Union Government announced that it would provide financial assistance, for the implementation of a metro rail system, to all Indian cities having a population of more than 1 million. In May 2015, the Union Government approved the Union Urban Development Ministry's proposal to implement metro rail systems in 50 cities. The majority of the planned projects will be implemented through special purpose vehicles, which will be established as 50:50 joint ventures between the Union and respective State Government. The Union Government will invest an estimated ₹5 lakh crore (US$70 billion). In a new draft policy unveiled in March 2017, the Central Government stated that it wanted state governments to consider metro rail as the "last option" and implement it only after considering all other possible mass rapid transit systems. The decision was taken due to the high cost of constructing metro rail systems. In August 2017, the Union Government announced that it would not provide financial assistance to new metro rail project, unless some sort of private partnership is involved. 1,435 mm (4 ft 8 1⁄2 in) standard gauge 750 V DC Third rail It's First in India to have the Third rail for power supply and the first to use fully Made in India metro coaches by ICF & BEML. 1,435 mm (4 ft 8 1⁄2 in) standard gauge 25 kV AC OHE India's largest rapid transit/metro system. Bengaluru Namma Metro Karnataka 20 October 2011 42.30 34.37 57.07 2 41 1,435 mm (4 ft 8 1⁄2 in) standard gauge 750 V DC Third rail First metro in southern India, the first to have the third rail for power supply in southern India, and the first to introduce Wi-Fi onboard trains. Mumbai Mumbai Metro Maharashtra 8 June 2014 11.4 163 209 1 12 1,435 mm (4 ft 8 1⁄2 in) standard gauge 25 kV AC OHE India's first public private partnership (PPP) metro system with Reliance group. 14 lines and line extensions are at different stages of planning. Jaipur Jaipur Metro Rajasthan 3 June 2015 9.63 2.4 23.01 1 9 1,435 mm (4 ft 8 1⁄2 in) standard gauge 25 kV AC OHE Double-story elevated road and Metro track project for the first time in the country. Chennai Chennai Metro Tamil Nadu 29 June 2015 45 8.52 118.4 2 32 1,435 mm (4 ft 8 1⁄2 in) standard gauge 25 kV AC OHE First metro rail in the country to connect two lines (blue & green) through loop line to run direct service from the airport to central even though had interchange station at Alandur. First metro in India for underground stations with sliding doors. Kochi Kochi Metro Kerala 17 June 2017 18.4 25.6 56.7 1 16 1,435 mm (4 ft 8 1⁄2 in) standard gauge 750 V DC Third rail First Indian metro to go live with CBTC signalling. Lucknow Lucknow Metro Uttar Pradesh 5 September 2017 23.7 11.10 140 1 21 1,435 mm (4 ft 8 1⁄2 in) standard gauge 25 kV AC OHE The fastest built and commissioned metro system in the world. Opened to the public on 5 September 2017. Hyderabad Hyderabad Metro Telangana 29 November 2017 56.5 15.7 168 2 47 1,435 mm (4 ft 8 1⁄2 in) standard gauge 25 kV AC OHE India's first metro to have CBTC and integrated telecommunications and supervision systems, i.e. driver less metro. Ahmedabad Metro Gujarat 6 March 2019 6.5 40.03 28.26 1 6 1,435 mm (4 ft 8 1⁄2 in) standard gauge 750 V DC Third rail Inaguarated by PM Narendra Modi on 4 March 2019. Pune Pune Metro Maharashtra June 2022 31.5 54 1,435 mm (4 ft 8 1⁄2 in) standard gauge 25 kV AC Construction began in May 2017. 30% work completed as of June 2018. Kanpur Kanpur Metro Uttar Pradesh 2024 24 38 2 24 1,435 mm (4 ft 8 1⁄2 in) standard gauge 25 kv AC OHE Approved by the Union Cabinet on 28 February 2019. Bhopal Bhopal Metro Madhya Pradesh 2022 27.87 2 30 1,435 mm (4 ft 8 1⁄2 in) standard gauge 25 kV AC Construction began in December 2018. Agra Agra Metro Uttar Pradesh 2024 27 1,435 mm (4 ft 8 1⁄2 in) standard gauge N/A Approved by the Union Cabinet on 28 February 2019. Patna Patna Metro Bihar 2024 31 2 24 1,435 mm (4 ft 8 1⁄2 in) 25 kV AC OHE PM Narendra Modi laid the foundation stone for this project on 17 February 2019. Meerut Meerut Metro Uttar Pradesh 2024 30 1,435 mm (4 ft 8 1⁄2 in) standard gauge N/A Foundation stone laid in March 2019. Visakhapatnam Visakhapatnam Metro Andhra Pradesh 39 1,435 mm (4 ft 8 1⁄2 in) standard gauge N/A Govt. to take up the Project under PPP model, RFP invited and Tender may be awarded before June -2018. .
Varanasi Varanasi Metro Uttar Pradesh 25  1,435 mm (4 ft 8 1⁄2 in) standard gauge N/A DPR approved by the state cabinet. Doon Valley Dehradun Metro Uttarakand 73 2 TBD N/A DPR being prepared. Guwahati Guwahati Metro Assam 61.4 TBD N/A DPR approved by the state cabinet. Gwalior Greater Gwalior Metro Madhya Pradesh 105 N/A N/A Subject to a feasibility study. Jabalpur Jabalpur Metro Madhya Pradesh N/A N/A Subject to a feasibility study. Chandigarh Tricity Chandigarh Metro Punjab 37.5 Rejected because of commercial viability. Mumbai Western Railway Elevated Corridor Maharashtra 63.27 Rejected because of infeasibility. The first suburban rail system in India is Mumbai Suburban Railway which started operations in 1853. The Kolkata Suburban Railway has the largest network in the entire country. Suburban trains that handle commuter traffic are all electric multiple units (EMUs). They usually have nine or twelve coaches, sometimes even fifteen to handle rush hour traffic. One unit of an EMU train consists of one power car and two general coaches. Thus a nine coach EMU is made up of three units having one power car at each end and one at the middle. The rakes in the suburban rails run on 25 kV AC. Ridership on India's suburban railways has risen from 1.2 million in 1970–71 to 4.4 million in 2012–13. The suburban railways of Mumbai, Kolkata and Chennai account for about 7.1% of the merge|last=Chaturvedi|first=Sumit|date=7 September 2015|website=Newslaundry|access-date=14 September 2017}}</ref> In some cities of India, the opening of rapid transit systems have led to a decline in the use of the suburban rail system. The Mumbai Monorail, which opened on 2 February 2014 is the first operational monorail system used for rapid transit in independent India. Many other Indian cities have monorail projects, as a feeder system to the metro, in different phases of planning. Mumbai Monorail Mumbai Maharashtra 2 February 2014 19.52 1 17 750 V DC Third rail World's sixth longest Monorail after Phase 2 opened on 3 March 2019. Chennai Monorail Chennai Tamil Nadu 57 3 37 Centre approved Chennai monorail project, to be implemented under DBFOT model. Tiruchirappalli Monorail Tiruchirappalli Tamil Nadu Proposed. Coimbatore Monorail Coimbatore Tamil Nadu Proposed. Warangal Monorail Warangal Telangana Proposed. Chandigarh Monorail Chandigarh Tricity Punjab Proposed. Shimla Monorail Shimla Himachal Pradesh Proposed. Light rail or light rail transit (LRT) is a form of urban rail transit using rolling stock similar to a tramway, but operating at a higher capacity, and often on an exclusive right-of-way. Two light rail projects have been proposed respectively in Delhi and Kolkata. There would be a total number of 68 stations of light rail in India. In addition to trains, trams were introduced in many cities in late 19th century, though almost all of these were phased out. The Trams in Kolkata is currently the only tram system in the country. The Calcutta Tramways Company (Now under WBTC) is in the process of upgrading the existing tramway network at a cost of ₹240 million (US$3.3 million). There are 3 metro rolling stock manufacturers in India under the Union Government's Make in India program, 75% of the rolling stock procured for use on Indian metro systems are required to be manufactured in India. BEML is a Bangaluru based Public Sector Undertaking company which manufactures mining equipment, heavy engineering as well as metro rail coaches. It manufactures of Rolling Stock consortium with Hyundai, Mitsubishi, Rotem. Bombardier built a £26m factory in Savli, Gujarat after it won a contract to supply 614 cars to the Delhi Metro. Production at Savli began in June 2009. In June 2012, the plant won an order to supply semi-finished bogies to Australia. In 2013, Alstom built a factory in Sri City, Andhra Pradesh after it won a €243 million contract to supply 168 cars to the Chennai Metro. The 156-acre plant will be used to supply trains to cities in India and abroad.. It also provides signalling & telecommunications systems. Integral Coach Factory manufactures Rolling Stock, ICF has manufactured "Medha Rakes" and is in the process of supplying them to various metro systems. The subject of Railways is in the Union List of the Seventh Schedule of the Constitution, giving Parliament the exclusive power to enact legislation concerning it. According to former Minister of Urban Development Kamal Nath, "Since the Metro rail is a central subject, it has been decided that all such projects in the country, whether within one municipal area or beyond, shall be taken up under the Central Metro Acts." Construction of metros in India is governed by the centrally enacted The Metro Railways (Construction of Works) Act, 1978 which defines itself as an act to provide for the construction of works relating to metro railways in the metropolitan cities and for matters connected therewith. Operation and maintenance of metros are governed by The Delhi Metro Railway (Operation and Maintenance) Act, 2002. Both laws were amended in 2009 with the passing of The Metro Railways (Amendment) Act, 2009. The amendment expanded the coverage of both the acts to all metropolitan areas of India. Initially, state governments attempted to implement metro rail projects through various Tramways Act. However, the Commissioner of Railways Safety (CRS), who operates under the Ministry of Civil Aviation, is tasked with providing safety certification for metro rail projects. The CRS refused safety certification unless the projects were implemented under a Metro Act enacted by the state government and published in The Gazette of India. Research Design and Standards Organization (RDSO), another railway entity, also refused certification to projects not implemented under the criteria. Subsequently, several state governments have enacted their own Metro Acts. ^ "How metro rail networks are spreading across India". ^ Bhatt, Himansshu (2 May 2015). "Feasibility report on Surat metro soon". The Times of India. Retrieved 14 September 2017. ^ "Centre to aid Metro projects in cities with 10 lakh people". Business Standard. 11 August 2014. Retrieved 14 September 2017. ^ "10 lakh to be new population norm for Metro Rail projects". Smart City. Elets Technomedia Pvt Ltd. 12 August 2014. Retrieved 14 September 2017. ^ "50 Cities to get Metro Rails for Rs.500000 Crore – RailNews Media India Ltd". www.railnews.co.in. ^ "Union Cabinet approves new Metro Rail Policy; Focus on compact urban development, cost reduction and multi-modal integration". Press Information Bureau of India. 16 August 2017. Archived from the original on 20 August 2017. Retrieved 14 September 2017. ^ Nair, Sobhana (16 August 2017). "Union Cabinet approves new metro rail policy". The Hindu. Retrieved 14 September 2017. ^ Nair, Shalini (17 August 2017). "For Metro rail, states must bring private players: Govt". The Indian Express. Retrieved 14 September 2017. ^ Ghosh, Shinjini (6 August 2018). "New corridor of Delhi Metro's Pink Line inaugurated". The Hindu. Retrieved 6 August 2018. ^ Goswami, Sweta (16 January 2017). "Phase-3 to push Delhi Metro's ridership to over 4 million this year". Hindustan Times. Retrieved 13 September 2017. ^ Seethalakshmi, S; Prashanth, G N (19 October 2011). "NAMMA METRO IS A GEEK TRAIN". The Times of India. Retrieved 13 September 2017. ^ "Elias George's tenure as MD extended". The Times of India. 5 October 2016. Retrieved 13 September 2017. ^ Paul, John L. (20 February 2017). "India's first CBTC metro system to be ready in March". The Hindu. Kochi. Retrieved 20 January 2018. ^ Rawat, Virendra Singh (16 November 2015). "Lucknow Metro Rail fastest and most economical project in India". Business Standard. Retrieved 13 September 2017. ^ Jain, Smriti (5 September 2017). "This hi-tech system makes Lucknow Metro "better" than Delhi Metro? Alstom claims that's the case". The Financial Express. Retrieved 13 September 2017. ^ "METRO MAN APPEALS TO PEOPLE TO KEEP METRO CLEAN". B Live. 23 June 2017. Archived from the original on 3 July 2017. Retrieved 13 September 2017. ^ a b "Rajnath Singh, Chief Minister Yogi Adityanath Inaugurate Lucknow Metro". NDTV. 5 September 2017. Retrieved 13 September 2017. ^ Sanyal, Anindita, ed. (6 September 2017). "As Metro Rolls Out, Yogi Adityanath Says Lucknow Now 'Smart City': 10 Facts". NDTV. Retrieved 16 September 2017. ^ "Hyderabad Metro Rail service to open for public from Nov 29". The Hindu Business Line. 25 November 2017. Retrieved 25 November 2017. ^ "Nagpur Metro Flagged Off by PM Modi, to Open For Public on Women's Day". News18. Retrieved 10 March 2019. ^ "First trial runs for metro in Dec, regular commute from May 2020: Cidco". Hindustan Times. 4 January 2019. Retrieved 8 January 2019. ^ "6-month trial will further delay city's aiden metro run - Times of India". ^ "Sleek, swank, smooth: New trains arrive for Navi Mumbai metro". mid-day. 11 March 2019. Retrieved 11 March 2019. ^ "Tata-Siemens consortium to develop Pune metro line in India". Railway Technology. 5 October 2018. Retrieved 6 October 2018. ^ Gaikwad, Siddharth (10 May 2017). "Work on Swargate-Pimpri metro route from next week". The Times of India. Retrieved 13 September 2017. ^ "India approves Kanpur and Agra metro rail projects". Railway Technology. 4 March 2019. Retrieved 10 March 2019. ^ "Bhopal Metro Gets Off The Ground: Excavation Work Begins On AIIMS-Subhash Nagar Route". swarajyamag.com. Retrieved 10 March 2019. ^ "Metro to start circling Indore by Feb 2023 - Times of India". The Times of India. Retrieved 10 March 2019. ^ "Indore, Bhopal metro rail projects approved by Modi-led Cabinet! All you want to know about the infra boost". The Financial Express. 4 October 2018. Retrieved 6 October 2018. ^ "Speed up metro rail projects in cities: Chief secy to officials". Press Reader. Hindustan Times. 20 June 2015. ^ "PM Modi to lay stone for metro rail on February 17 - Times of India". The Times of India. Retrieved 10 March 2019. ^ "Surat metro rail project has approved by Union govt". Retrieved 11 March 2019. ^ "Modi lays foundation stone for Delhi-Meerut RRTS project". Business Standard India. 9 March 2019. Retrieved 10 March 2019. ^ "Naidu to Receive Vijayawada, Vizag, Metro Rail Plans Today". The New Indian Express. 9 April 2015. Retrieved 13 September 2017. ^ "Vijayawada Metro Rail will be ready by Aug 2018: AP CM". Web India 123. 4 September 2015. Retrieved 13 September 2017. ^ "Metro DPR ready". 28 July 2015. Retrieved 13 September 2017. ^ Sarma, G.V. Prasada (28 July 2015). "Metro DPR ready". The Hindu. Retrieved 13 September 2017. ^ "Sreedharan told to finish phase-I of Vijayawada Metro by 2018". Business Standard. 4 September 2015. Retrieved 13 September 2017. ^ "DPRs returned, fate of Varanasi, Kanpur Metro projects in limbo". www.hindustantimes.com. 16 September 2017. Retrieved 15 November 2017. ^ Singh, Priyanka (17 January 2018). "UP Cabinet gives go-ahead to the revised Metro DPRs of Agra, Kanpur and Meerut". The Times of India. Lucknow. Retrieved 23 January 2018. ^ Rawat, Virendra Singh (18 January 2018). "Yogi Adityanath government okays metro projects worth Rs 470 billion". Business Standard. Lucknow. Retrieved 23 January 2018. 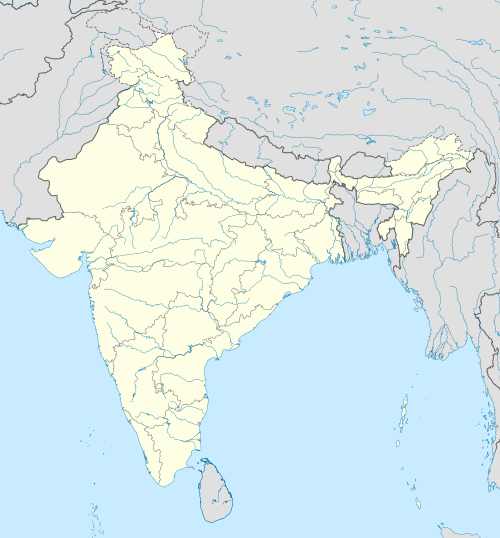 ^ "Uttarakhand govt inks deal with Delhi Metro for Haridwar- Rishikesh-Dehradun metro service". The Financial Express. 21 December 2016. Retrieved 13 September 2017. ^ Kunwar, Darshan (21 December 2016). "Uttrakhand inks pact with Delhi metro rail corporation to build metro line on Doon-Rishikesh route". The Times of India. Retrieved 13 September 2017. ^ "Feasibility study of metro rail project gets under way - Times of India". The Times of India. Retrieved 10 March 2019. ^ "Cabinet green signal to Guwahati metro project". The Times of India. 19 January 2017. Retrieved 13 September 2017. ^ "After Hanging in For Years, Chandigarh Metro Rail Project Finally Scrapped Off & Here's Why - Chandigarh Metro". chandigarhmetro.com. Retrieved 26 November 2017. ^ "Light metro unviable in Kozhikode". Deccan Chronicle. 14 March 2018. Retrieved 8 January 2019. ^ Sajeev, K. "Light Metro in TVM, Kozhikode may be shelved". Mathrubhumi. Retrieved 8 January 2019. ^ "[IRFCA] Indian Railways FAQ: Electric Traction — I". [IRFCA] The Indian Railways Fan Club. Retrieved 14 September 2017. ^ "Mumbai monorail to run in two years". The Times of India. 29 September 2007. Retrieved 14 September 2017. ^ "Monorail project cleared for Chennai". Deccan Chronicle. 21 November 2014. Retrieved 14 September 2017. ^ Hemalatha, Karthikeyan (20 November 2014). "Centre approves Chennai monorail project". The Times of India. Retrieved 14 September 2017. ^ "Despite Centre nod, monorail project in Chennai remains stuck". Times of India. 21 November 2014. Retrieved 14 September 2017. ^ "Centre gives the nod for Chennai Monorail project". Daily News and Analysis. 20 November 2014. Retrieved 14 September 2017. ^ "Ministry nod for Chennai Monorail". The Hindu. 20 November 2014. Retrieved 14 September 2017. ^ a b "Rajasthan mulling monorail in Jaipur, Kota, Jodhpur". Business Line. The Hindu. 8 September 2012. Retrieved 14 September 2017. ^ a b "Jodhpur Monorail project report to come up in 3 months". Daily Bhaskar. Dainik Bhaskar. 16 October 2011. Retrieved 14 September 2017. ^ a b "Now, government wants monorail for shorter routes". The Times of India. 27 May 2013. Retrieved 14 September 2017. ^ a b "Raj govt mulling monorail in Jaipur, Kota, Jodhpur". Business Standard. 24 January 2013. Retrieved 14 September 2017. ^ a b "Rajasthan Govt. may introduce monorail service". The Hindu. 14 December 2009. Retrieved 14 September 2017. ^ "Electric coaches, buses to ply on same lane in Nashik - Times of India". The Times of India. Retrieved 11 March 2019. ^ Rawal, Swapnil (10 May 2017). "Made in India trains to run on Mumbai's Metro-3 route". Hindustan Times. Retrieved 13 September 2017. ^ Kannan, Shilpa (26 February 2012). "Gujarat state in the fast lane of Indian economy". BBC. Retrieved 13 September 2017. ^ a b "Bombardier bags Australian deal; to export bogies from Gujarat facility". Business Line. The Hindu. 27 June 2012. Retrieved 13 September 2017. ^ "Alstom completes in Lapa plant the first train for Chennai metro, in India". Alstom. 2 May 2015. Retrieved 13 September 2017. ^ Kurup, N.K. (22 July 2012). "Alstom to make Sri City a global sourcing hub". Business Line. The Hindu. Retrieved 13 September 2017. ^ Pandey, Maneesh (19 November 2011). "Metro Rail: Future of intra-city commuting". India Today. Retrieved 13 September 2017. ^ "The Metro Railways (Construction of Works) Act, 1978". Indiankanoon.org. Retrieved 14 December 2012. ^ a b Shankar, B V Shiv (1 March 2012). "Metro rail may need to get its act together". The Times of India. Retrieved 13 September 2017. ^ Indicates lines that are in operation for operational systems, lines that are under construction for under construction systems and proposed lines for proposed systems. ^ Indicates stations that are in operation for operational systems, stations that are under construction for under construction systems and proposed stations for proposed systems. ^ In Operation - The length of the system currently in operation. ^ Under construction - The length of the system currently under construction. ^ Planned - The length of the system currently planned to be built, but construction has not yet started.